This article will explain how to integrate the TIRO Job Board with your website. The API Key and Username can be found in the Admin area of HRS Connect. The highlighted fields are the information that you will need. 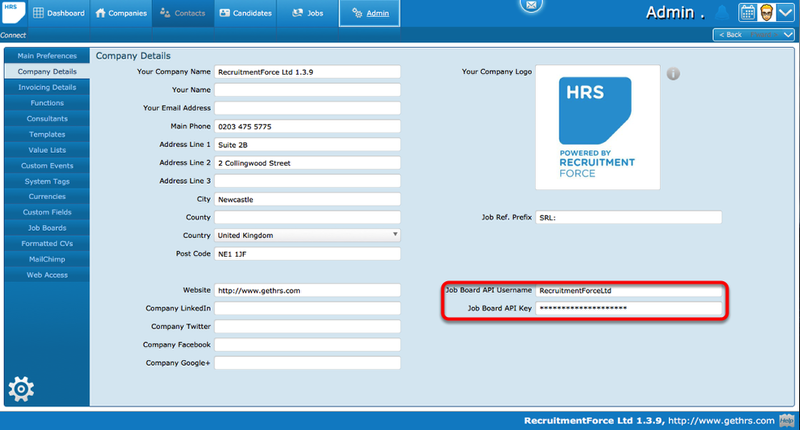 Click into the 'Job Board API Key' field to view the contents. If JSON is requested, the text will be returned like the example which can be found here. If XML is requested, the text will be returned like the example which can be found here.